VPN is a must for anyone who is thinking about using the web today. This is fact and don�t be fooled when someone tells you that you are perfectly safe online because the chances are you�re not using a secured network connection. If you�re not then you�re in big trouble and no matter what you do, you are not going to be able to use the web safely. This is why you really do need to think about getting yourself VPN. There are many good choices to choose from however and you don�t really need to worry about anything other than choosing the right VPN for you. 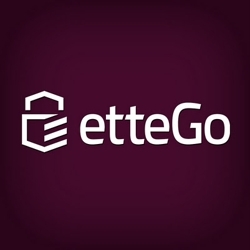 Don�t be fooled in thinking that a low costing VPN must be a scam because most of the VPN companies out there today are trying their best to keep their prices down to bring in the customers and EtteGo VPN certainly is no scam. They offer low VPN for only one dollar and change. Yes that is right one dollar and some change but this is fantastic because you are actually getting a lot of choice here. You can choose between five different VPN server locations including America, Canada, Latvia, Holland and Sweden. However, you can choose PPTP, IPSec, L2PT and SSTP and you can choose a Shared and Shared Static IP also. Though, there are a few choices missed out on including a Dedicated and a Dynamic IP; and there is no Open VPN or SSL either but still a few good options to choose from. EtteGo VPN will be able to run with the operating systems such as FreeBSD, UNIX, Linux, Windows, Mac OS X and more. EtteGo VPN is even capable in working with the Xbox 360, DDWRT Router, Windows Mobile, Android, Nokia phones, the Router and Apple devices also.